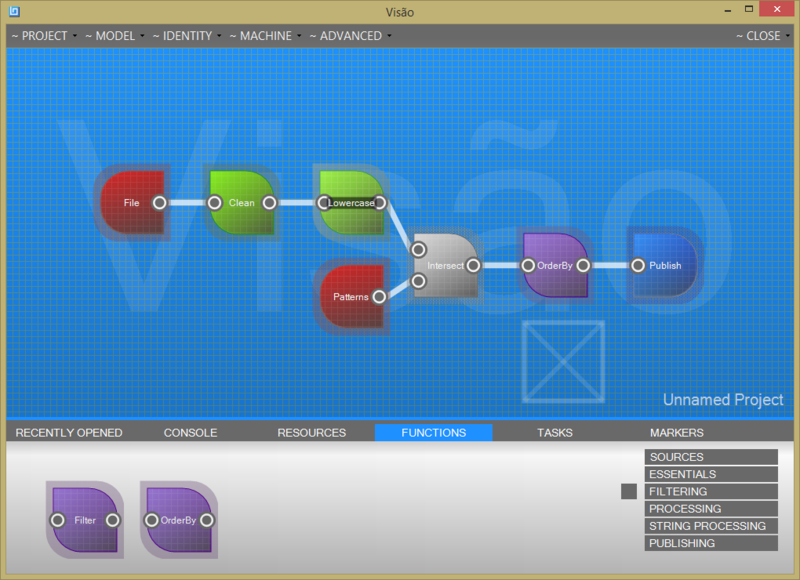 Visão was primarly developed as a computer-aided (or assisted) text analysis software, however its use is not limited only to analytical field. It is useable as a tool for batch text processing and an automatic, supervised manipulation as well. Get a free version to find out more! Visão can import text data from a single file or process a whole directory. It supports plain text files and csv (comma separated values) files. The application can read a text encoded in various character encodings, it primarily uses codecs that come with your operating system. Visão allows the user to customize a parsing process (tokenizer) that splits the text flow into segments (tokens, like words, sentences, or anything the user wants). The application contains many useful functions that may be engaged in order to process the text flow. For example, it can select, filter, replace, or transform parts (tokens) in the text flow. Also, the user can use a dictionary-building functionality to recognize and quantify tokens. Various methods to compare strings are available. 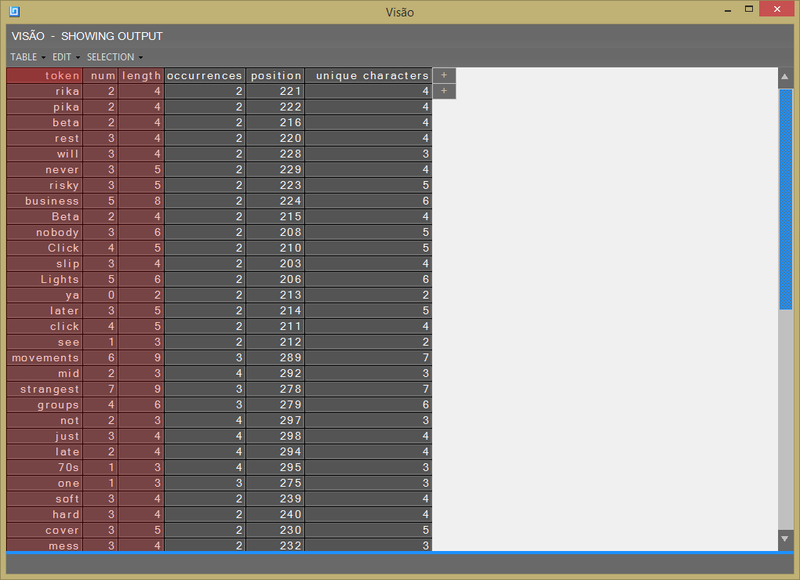 Visão can process the textual flow in order to yield stylometric indicators, such as an average word length, an average length of sentence, a number of tokens that fall within the given category. To transform or compare tokens, regular expressions may be used. When the processing is finished, the text flow is printed in a user-defined form into a memory or an output file. Get a free version to find out what is possible with Visão!